On this bike pic, ice cream smiles Sunday we caught this cyclist in the Netherlands stopping in a small canal town to enjoy a cool sweet treat on his ride with friends. As we continues to encourage more people to bike, please view our Destination section at HaveFunBiking.com for your next bike adventure – Also, check out the latest mobile friendly Bike Guide as we enter into our 10th year of producing these print and digital guides. Have a great day and a memorable year ahead! 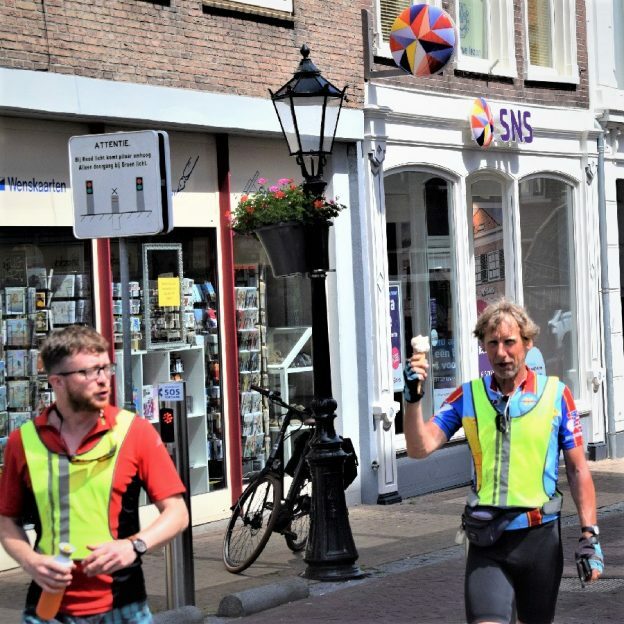 This entry was posted in Picture of the Day and tagged bike Amsterdam, biking Netherlands, Bruges, canal bike tours, European canal bike tour, fun bike picture, ice cream, Ice Cream Cone, Ice cream smiles, Ice cream Sunday, Icecream of Instagram, Netherlands, perfect picture, picture of the day, Sunday on August 26, 2018 by Russ Lowthian.